Frank Holmes looks at Gold’s Strengths, Weaknesses, Opportunities and Threats as reported in the media over the past week. The best performing precious metal for the week was gold, down just -1.15 percent on a slightly stronger dollar and better than expected U.S. retail sales. Money flows for gold are benefiting from what Bank of America is calling an “equity exodus.” The bank points out that while $7.4 billion in equity outflows have taken place over the past five weeks, $3.5 billion went into bonds and $1 billion into precious metals. In the first three months of 2016, investors snapped up gold at a record pace, and even commodities investor Dennis Gartman told CNBC that he is becoming more bullish on the yellow metal. Paradigm Capital put out a research note this week, highlighting “open season for development projects.” The report discusses that Kaminak and Goldcorp have entered into a definitive agreement whereby Goldcorp will “acquire all of the issued and outstanding common shares of Kaminak,” with the shares representing a value of C$2.62/ Kaminak share. The transaction seems a bit off from what Goldcorp had communicated to the street concerning lots of internal opportunities and is not without risk with regards to permitting and construction timelines before first gold production would take place. 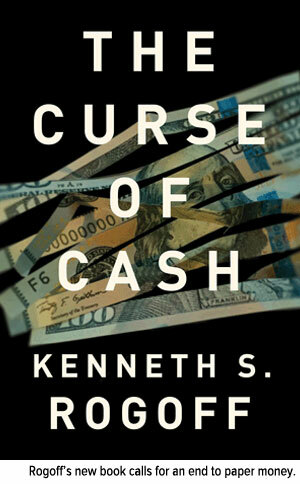 Kenneth Rogoff comments this week in Business Standard his opinion on whether or not emerging market central banks are overweight in dollars and underweight in gold. 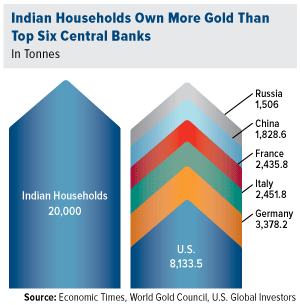 Rogoff explains, “There is a good case to be made that a shift in emerging markets toward accumulating gold would help the international financial system function more smoothly, benefitting everyone.” Interestingly enough, China topped up its gold reserves in April, according to data from its central bank. The Perth Mint also reported that sales of Australian bullion coins and bars eased in April compared to March, but surged over the levels posted a year earlier. The worst performing precious metal for the week was platinum, down -2.59 percent. Platinum fell 3.30 percent at the start of the week, as a news story from the prior week highlighted that electric vehicles will have a big impact on reduced platinum group metal’s demand. Following the announcement from a Federal Reserve official that it’s fair to expect two interest rate increases this year, reports Bloomberg, gold declined for the fifth time in six days as the dollar strengthened. Bill Gross stated he believes that policymakers may act at their next meeting in June, with other analysts agreeing with his comments. Thailand is set to shut down its largest gold mine by the end of the year, reports Bloomberg. The government ordered a review of the Chatree mine last year after complaints were made by local residents. Young gold buyers in China are seeking “fresh and modern” takes on jewelry designs, reports China Daily, causing jewelry sellers in the Asian nation to face new challenges. Coupled with declining gold consumption in the first quarter, sellers will need to accommodate this post-90s generation since they have a differing view on investing in such pricey goods. It looks as though the Comex vault does not have enough gold, reports The Daily Reckoning. The number of paper claims tied to an ounce of deliverable gold went from essentially flat in the early 2000s, to an enormous level of 542-to-1 in 2015/2016. The article notes, if even one claimant shows up to take delivery of physical gold, the cupboard will be bare. Jim Bianco, president of Bianco Research, believes that gold is a “high yield asset” in a negative rate world, according to Financial Sense. 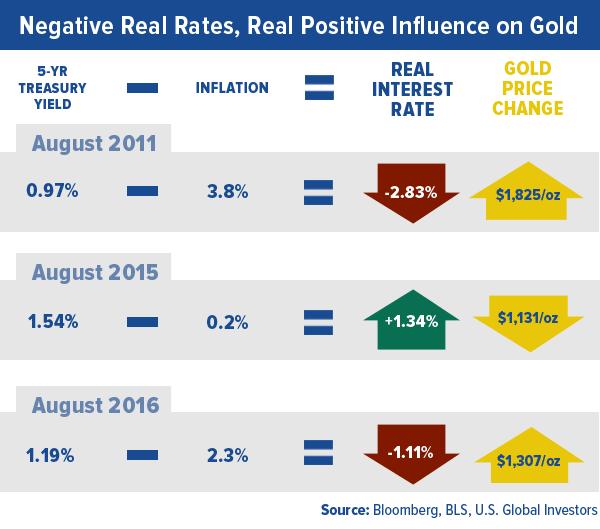 Bianco points out that the argument against owning gold – that it has no yield – “doesn’t hold water when $8 trillion of government debt around the globe is yielding negative,” continues the article. In agreement with Bianco’s statements, JP Morgan’s global head of fixed income, currencies and commodities, reasoned this week in a piece by CNBC, that with so many negative interest rate policies around the world, gold will continue to be bought as an alternative currency. In a BCA Research piece this week, “The End of the Debt SuperCycle: An Update,” the group details how the ease of engineering a new credit upcycle by the Fed has turned more challenging than ever before, beginning during the 2007-09 meltdown in the U.S. “Since then, even zero policy rates have been unable to trigger a strong revival in credit growth in the major developed economies.” They noted that it has been 20-years since the Japanese debt supercycle ended and their markets have not recovered yet. In South Africa, a court in the country has allowed thousands of former mineworkers to proceed with a class action seeking damages from mining companies, reports Bloomberg. The judgement opens way for nearly 500,000 people to join a suit, for suffering from lung diseases they contracted while working at their operations.